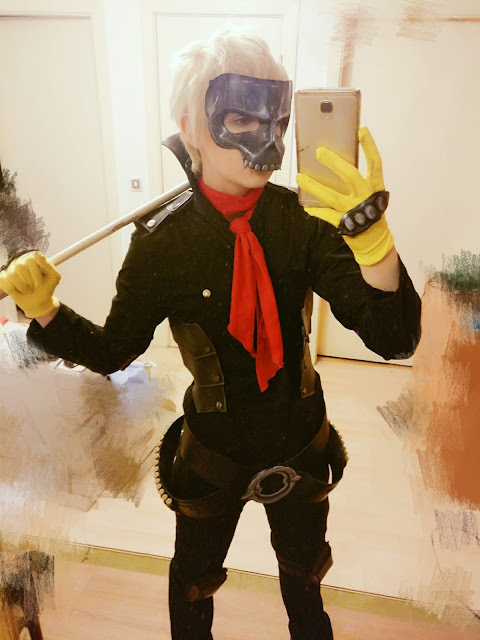 For my recent skull cosplay I chose to use leather to make both his mask and clothing accessories. 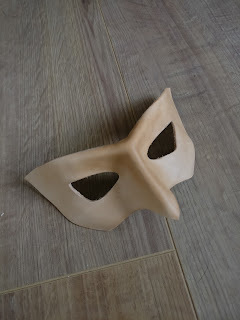 It started as a bit of an experiment as I've never used leather before to make anything, but the masks turned out so well that I continued to use it on the rest of his costume. 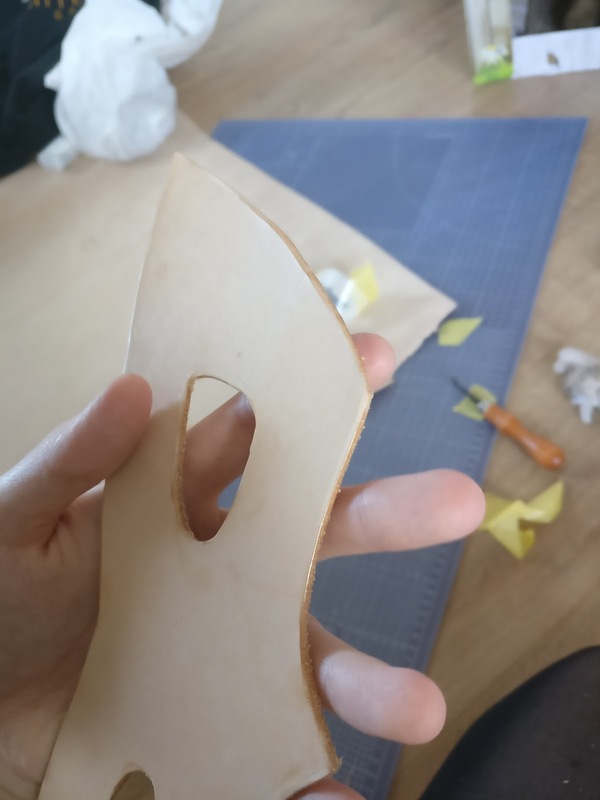 I even find I prefer it now than using worbla. Leather IS more expensive and the set up for tools will be quite a lot but time wize I found it so much easier to work with (and durable). I got my leather from tandy leather, I put down all my success in my task to the helpfulness of the staff there who eased me into the ways of working with leather. I can't remember the exact type of leather I used but I believe it as veg tan shoulder leather possibly 7-9 oz? 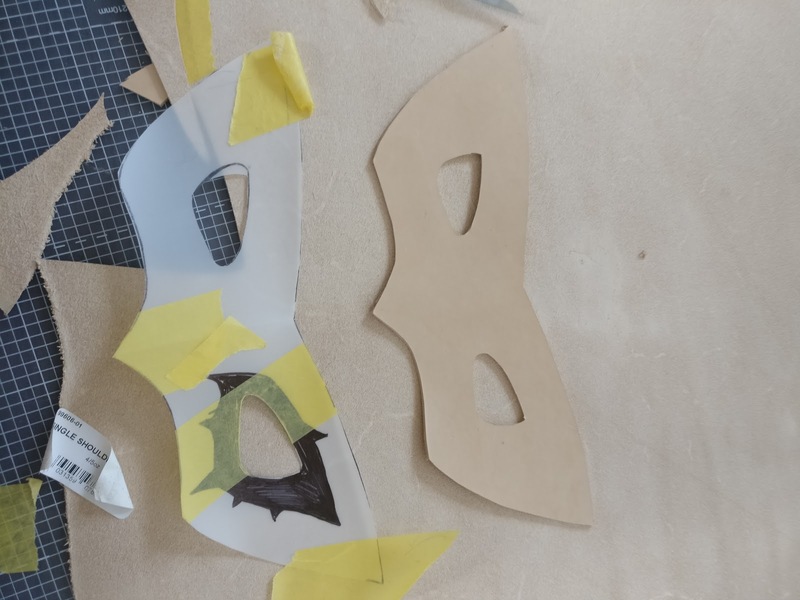 To start with I made a template of the mask design with tracing paper, I made jokers mask first as the design is a little simpler. 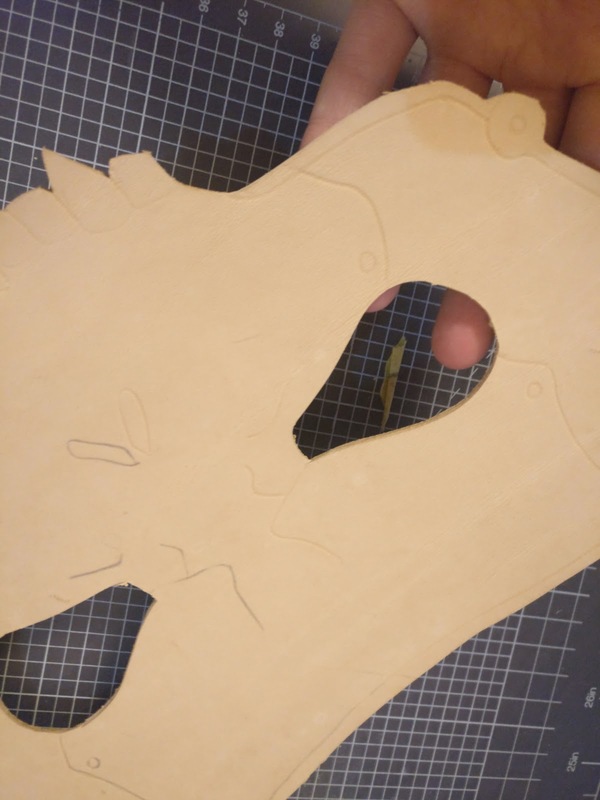 I made his template the exact size I needed including the distance between the eyes but for skull the process was a little more trial and error. I drew what looked correct and tried the design against my face in a mirror, in order to compensate for the nose bridge I left extra space between the eyes. For each mask I cut it out using a scalpel and finished the edges with a bevel tool. I wet the leather and moulded it when damp, I used my oven on a low heat to 'set' the leather, taking it out at regular intervals to check and remould it if needed. For skull I traced the designs on before moulding. As I have said I had to use trial and error to get his mask right, I checked the template on my face before cutting leather but even once cut and moulded I had to cut extra off to make it correct. 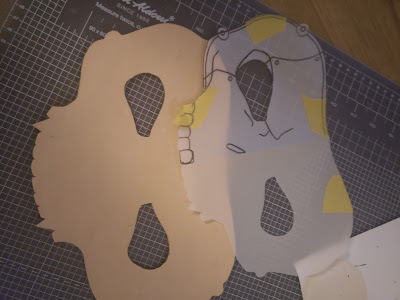 A way around this could be to cut the mask from craft foam first which will fit the contours of the face better and give an idea of whether the mask is the right size or not before cutting leather. 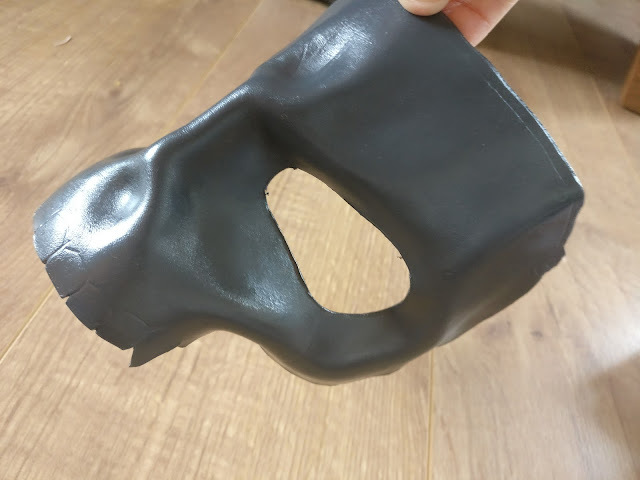 I moulded the mask on my face when damp, its a little strange but I found its the best way to check if it will be comfortable and fit right. Once it was completely dry I then used leather paints to paint it. 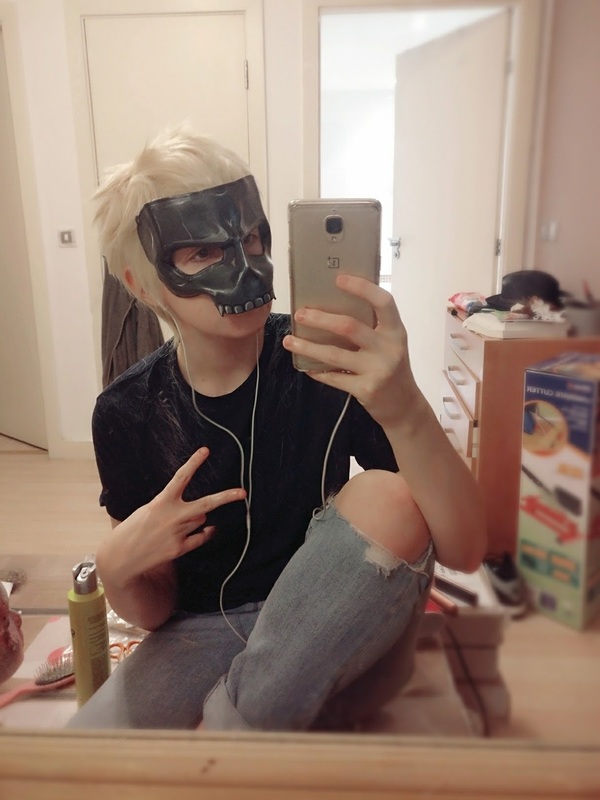 I also punched holes in the sides and slid hair grips in them which slide into my wig when worn.